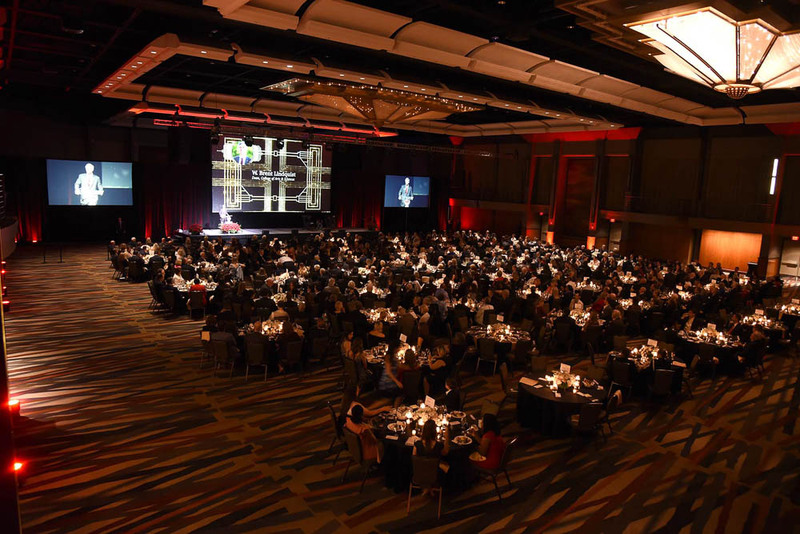 While BEYOND offers unique options when it comes to the production design of an event most of our clients come to us for our expertise in a lighting, audio-visual and video set up for a ballroom or larger event space. 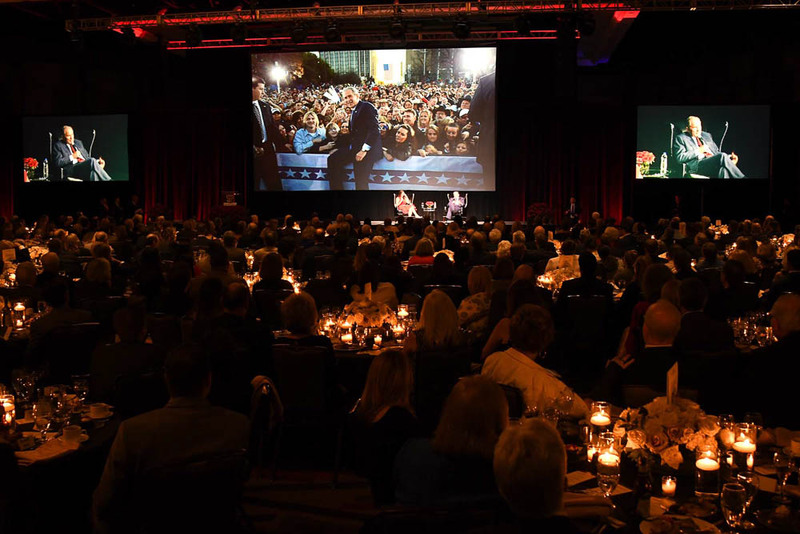 Being familiar with the majority of the venues in the Dallas/Fort Worth Area and event prodcution expertise is why, when Texas Tech University was hosting an Evening with George W. Bush at the Hyatt Regency they reached out to us to help them produce the night. For this event we had decided to go with a large screen (18×32) in the middle of the stage and two smaller screens (11×20) to the left and right of the stage projecting the magnification of what was occurring on stage. This is done to insure everyone in the room is able to have a clear line of sight and would not miss what was happening on stage. For an event like this, stage lighting is very important… we used intelligent lighting rigged in the ceiling so we had some flexibility to program different scenes, including the Color Guard that marched in front of the stage. We used Meyer Leopard cabinets for the main PA, in the ballroom which was supported by Meyer Subs. In order to help the program start on time, we placed supplemental audio in the foyer so guest could hear announcements to take their seats. With our knowledge and recommendations the event turned out spectacularly and we loved hearing the feedback from our client which is below.